The Great War naturally brought many changes to the world, but those changes were also felt here locally in the Waco area. 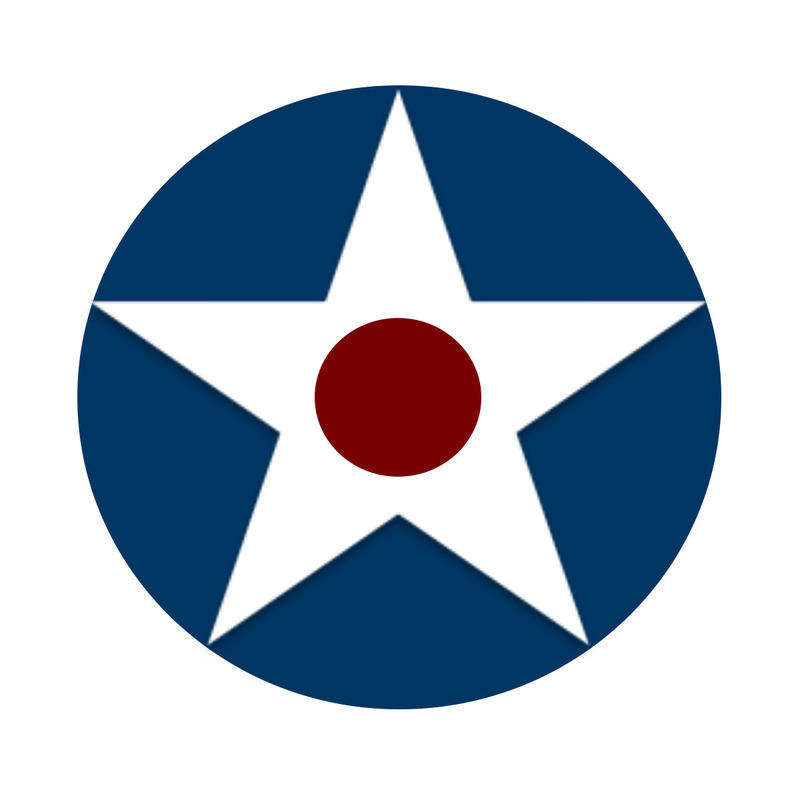 The construction of two military bases inside the city proper, Camp MacArthur and Rich Field, had a huge impact on the city's size, demographics, and economy. Local schools and universities suddenly had to contend with a new wartime dynamic in their daily operations, and many German Americans found themselves in tenuous situations as a wave of patriotic fervor swept the nation. In addition, a terrible flu epidemic took its toll on local soldiers and citizens alike. 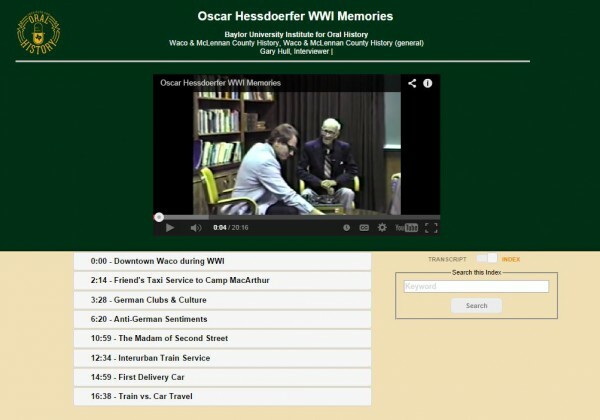 The Baylor University Institute for Oral History (BUIOH) is proud to present a series of interview excerpts from the archives of BUIOH chronicling the WWI era in Waco. Highlights from nine interview series are available containing the perspectives of individuals ranging from an established political family to rural German American immigrants. This content represents approximately half of the discovered materials covering local topics on WWI. Further interviews are currently being processed for digitization and will be added as they become available. Interviews in this section are featured on a new software platform recently installed on the Baylor campus named the Oral History Metadata Syncronizer, or OHMS for short. OHMS allows the user to simultaneously engage audio/video with a transcript or index. The WWI in Waco project is the first from BUIOH to employ this technology. The interviews listed below have complete topical indexes to browse - simply click on a topic and select "Play Segment" to advance to that point in the narrative. Pre-War Topics: Cotton Palace, parades, downtown theaters, circuses and promotions, Waco as "The Athens of Texas"